Taken with Olympus E500 digital camera August 23rd 2007. Click image for larger view. 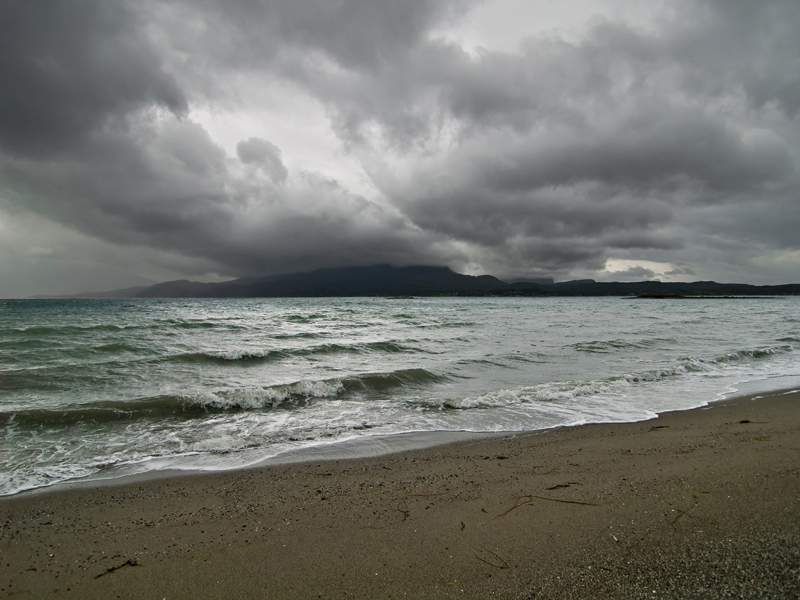 It was raining all day, but I really felt like photographing so I went for a trip on one of our sandy beaches. Here you can see some typical Norwegian autumn weather with wind and rain. Hope there will be some more warm days before the winter hits us. Follow Photos from Northern Norway on Facebook. It’s very evocative though. It reminds me a great deal of the autumn when it happens here in the UK – although it’s still lovely and sunny at the moment. Nice shot. Let’s pray for sun, everywhere in the world! Thomas, it is pictures like this that really stir the soul. It makes you feel like pulling that cloak around you a little tighter to ward of the cold Autumn chill. I wish we had this type of weather. I love it! Good lord Norway looks fantastic. I’d have a hard time getting any work done if I was there. Sounds like you have the perfect career for your environment. That’s beautiful. I want to go to Norway. Thanks for the pictures. I love stormy ocean weather. Especially in the fall. This is a beautiful picture – dark yet a feeling of grandeur… Very nice! very beautiful and moody seascape. another great foto from someone with a wonderful eye! I’m jealous. I want to be there.